The Wedding Disco.com has been established for many years. We have a wealth of experience in providing superb disco entertainment at all levels, for Birthday’s, Weddings & club events. We are very professional, reliable and friendly. We are competitive priced offering an excellent service to all our clients both past and present. We might not be the cheapest but we are by far the best. 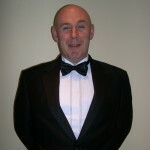 At www.The-Wedding-Disco.com we have a vast knowledge of music and know all the right titles for all the right occasions, ages and genres. Let us use our musical knowledge to keep your dance floor packed and your guests happy. We will send you an advanced music request sheet and we guarantee that all your requests will be slotted into your wedding disco. Our systems have the clearest sound and the right punch, giving CD clarity and a sound that will be played at the right level to suit your party. Colourful discos are as important as sound to help make a great-looking, party atmosphere. 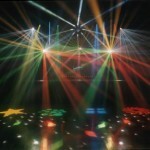 All our discos have loads of lights that create a fantastic visual at every wedding. Skip believe’s in a high standard, as you, our client would expect. Make The Wedding Disco.com your choice for all your entertainment needs. We listen to what your requirements are and aim to achieve them on the evening. The-Wedding-Disco.com are based in the greater Belfast area, County Antrim, Northern Ireland but travel throughout NI, Donegal and Dublin. To safeguard both parties we will forward a confirmation letter with our Terms & Conditions. We will ask you to sign the Terms & Conditions and return them to us. Experienced Professionals with over 30 years experience each. Music for all ages, tastes & styles.